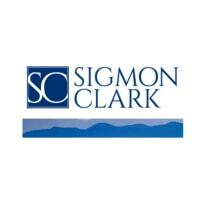 Sigmon, Clark, Mackie, Hutton, Hanvey & Ferrell, PA, was founded in 1967. Over the years, we have developed into the premier law firm in the area. Our North Carolina trial lawyers are known for producing high-quality legal work and tenaciously representing their clients' best interests. We address a wide range of legal concerns from simple matters to highly complex legal issues. We especially seek out matters which are challenging and require superior legal skills, talent, and commitment. We offer skilled representation in divorce and family law, commercial real estate, personal injury, business law, business litigation, wills and estate planning, workers' compensation, eminent domain/land condemnation, and more. We have a reputation for honesty and integrity as well as for getting the job done. Please contact our North Carolina law firm to discuss your legal needs.